Just as there are many possibilities in choosing, for example, one rifle with which to travel the world, there are also many possibilities in choosing one’s ideal “shooting wagon”. My own have included Land Rover Series IIA and III amongst others, and certainly the places I was going hunting required a car that would absorb scratches and occasional dents without causing over concern. The recent post we did on a Mercedes Unimog would exemplify such a “shooting wagon” for getting into the rough and inaccessible places that some of us enjoy. However, not everyone requires or desires a vehicle quite so utilitarian. So what do you get if you try to cross a Land Rover with a desirable British sports car such as an Aston Martin? You get an Aston Martin Shooting Brake. It’s not a car with which to go “bush bashing”, nor will it be good for crossing the occasional creek, but it will be utterly gorgeous, especially if painted environmentally friendly green. 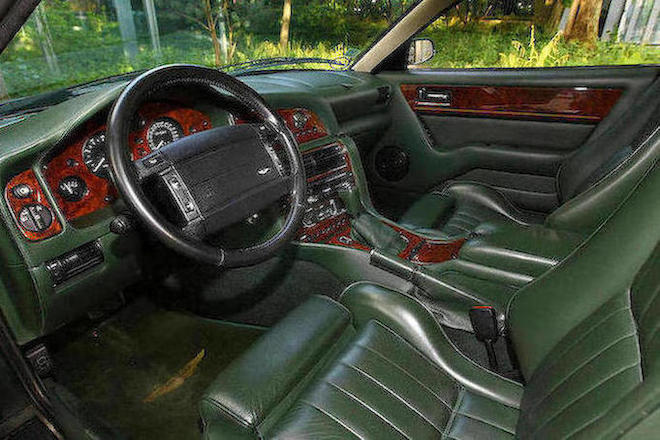 The interior of the author’s old ex-army Series IIA Land Rover never looked quite as sumptuous as this, even though it also was green. Aston Martin made a number of “Shooting Brakes” but the car we are featuring was the last one made by the factory, and is one of only two to have been made based on the Aston Martin V8 Coupé. These last two Shooting Brakes were ordered by two Swiss brothers in 1996, having been originally delivered as standard V8 Coupés, and then returned to the factory for modification as Shooting Brakes. The end result being a car that I would prefer over a standard coupé so I could “have my Aston Martin and my rifle too”, and enjoy them both at the same time. 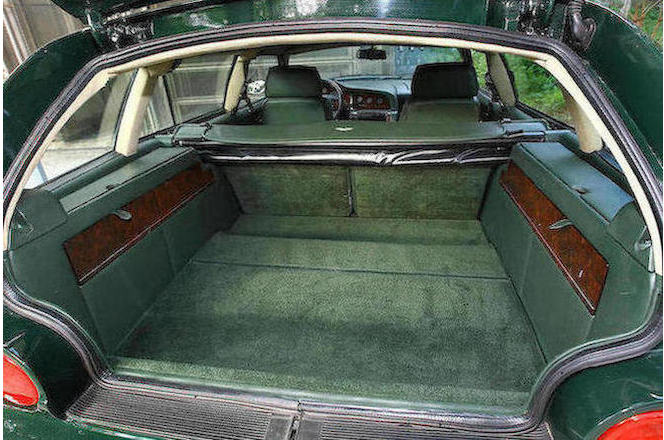 Plenty of room for hunting and shooting paraphernalia, though one might prefer a trailer or a lesser vehicle for carrying one’s freshly dressed quarry home to the chateau. 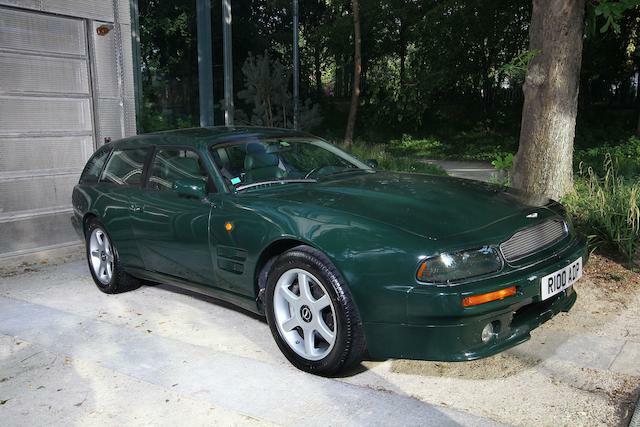 These 1996 Aston Martin V8 Shooting Brakes had the 5.3 litre normally aspirated V8 of the Aston Martin Virage tweaked somewhat to gain twenty horsepower more. 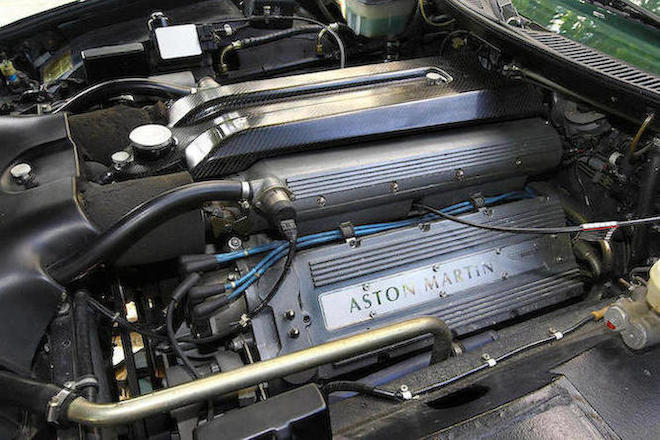 All V8’s sound wonderful and an Aston Martin V8 all the more so, so this car not only performs as an Aston should but it sounds like an Aston Martin V8 should sound; the car’s previous owner says he loves the noise it makes. The 5.3 litre normally aspirated Aston Martin V8 provides both the performance and music that a sports car loving “gun nut” delights in. 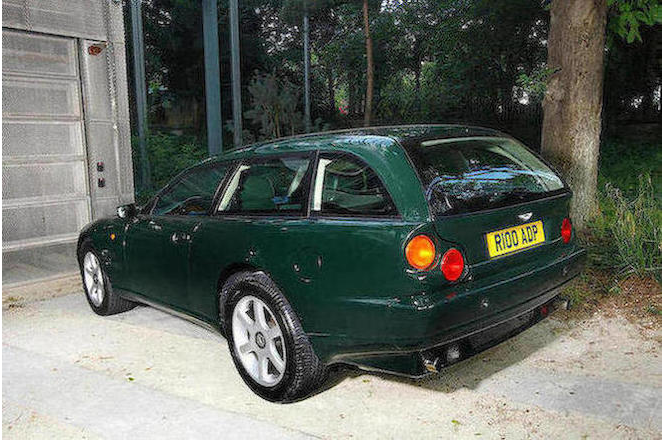 So if you are someone who appreciates fine sports cars and fine rifles then this pretty forest green Aston Martin “shooting wagon” may be something you would like to acquire. The car is coming up for auction at the Bonhams Chantilly Sale on 5th September 2015. Like the O.S.C.A.R in our previous post this Aston is one of two in the world, a unique “fun machine”.